The Level 1 student book contains nine units, all linked by a common storyline about a group of six friends and their mischievous dog, Lio. 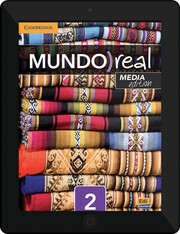 An accompanying CD-ROM introduces students to the interactive world of ¡Hola, Amigos!, where the characters from the student book come to life. 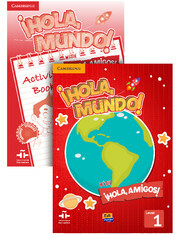 The Level 1 activity book is filled with fun and interactive activities for practicing the content covered in ¡Hola, Mundo!, ¡Hola, Amigos! These activities include a range of dynamics (coloring, cutting out, matching) that engage students, and a double page of full-color stickers that are used to complete some of the exercises.